During its heyday, Harmony accounted for more than half of all guitars built in America each year. Due to this industrial level of production, it is unlikely that even its less common guitars could be called rare. Harmony guitars are not usually mentioned in the same breath as Gibson or Fender and tend to be considered low-grade instruments. While a Harmony guitar may not be worth a fortune, accurately identifying an instrument can be quite satisfying. Harmony began in 1892 when Wilhelm J.F. Schultz and four employees began production at the Edison Building at Washington and Market streets in Chicago. Starting modestly with a sale of two guitars to the Chicago Music Company, Schultz's company grew quickly. In 1915, Harmony became the first large-scale ukulele manufacturer. By the following year, Sears and Roebuck bought the company to utilize this massive production. Sales grew through to the late 1960s, when the growth of imported instruments forced Harmony into debt and eventually liquidation. Harmony Guitar Company was revived in 2008 when Charlie Subecz launched a series of 1950s and 1960s reissues. 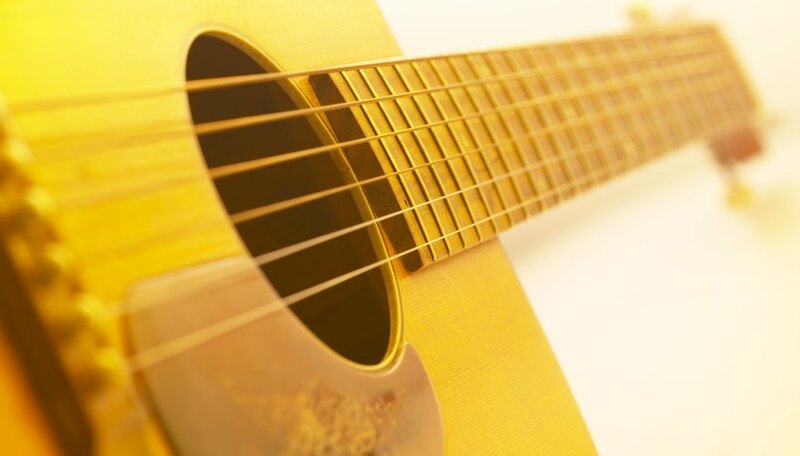 You can begin to identify a guitar by its type. Harmony made Archtop (named because of its convex body design) and Flattop styles. The Archtop guitars were made from either mahogany or spruce, depending on the model, and featured either an f-hole or round sound-hole design. Flattop guitars consisted of Folk models that had ladder bracing and sometimes steel-reinforced necks, and Classic models that included the Sovereign, with its triangular-shaped pick guard. If you look through the f-hole or sound hole of a Harmony guitar, you will see two stamps. If this is difficult to read, try using a mirror to see the stamps that were also placed on the underside of the guitar’s top. The large stamp is the serial number, and the number after the “H” is the model. The numbers before the “H” refer to the batch and do not follow any helpful numbering system. The other small stamp indicates the date of production and will give the year preceded by either an “S” or “F.” There are different opinions on this, with some believing that “S” stands for spring and “F” for fall, and others adamant that they represent first and second half of the year. DeArmond pickups can be useful in determining a guitar’s year of production. The date stamped on the back of these pickups is the exact date the electrical harness was assembled. This gives you an approximate estimation of the guitar’s production year. Serial numbers were occasionally misprinted on Harmony guitars. When similar models were on the assembly line waiting to be routed, they looked identical and could receive an incorrect stamp. There are even some guitars out there with two different date stamps, where it’s possible that older guitar backs were used for new guitars years later. Harmony Guitars: The Original Harmony Guitar Company, Inc.
Based near London, England, Bill Randall has been writing professionally since 2002. His articles have been published by eHow, and he specializes in the fields of information technology, adult education, winter sports and music. Randall studied English, business and information studies at The Grange School. What Gauge Strings Does a Gretsch 6120 Guitar Come With?